Get ready to get your evil on. On May 30, Disney will release “Maleficent,” its retelling of “Sleeping Beauty” from the evil queen’s perspective (not unlike the “Wicked” version of “The Wizard of Oz.”). 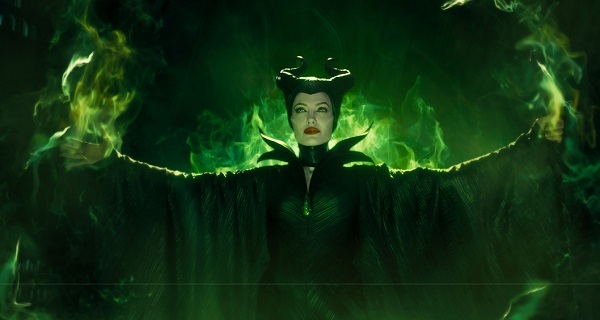 Judging from the trailers, it’s a costume extravaganza with Angelina Jolie decked out in Maleficent cape and horns. Not everyone can pull off the horns of evil, but thanks to Hot Topic, they can give it a try. The retail chain is getting in on the evil action with its own collection of “Maleficent”-inspired fashion, which includes corset tops, a hooded cape and a dress with the signature high collar. There’s even an evil queen headband and plenty of graphic tees featuring Jolie and the animated original. Of course, if evil’s not your style, there are a few Aurora (a.k.a. Sleeping Beauty) designs, as well.